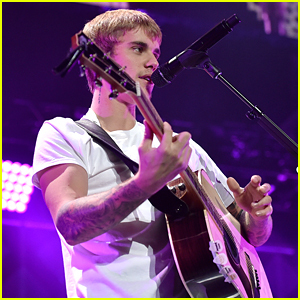 Justin Bieber goes acoustic on stage at 102.7 KIIS FM’s Jingle Ball 2016 at Staples Center on Friday night (December 2). The 22-year-old “Baby” singer ruled the stage in his Jingle Ball debut this year, just after attending a boxing class. Justin performed a handful of his songs including “Where Are Ü Now,” “Boyfriend,” “Company,” “What Do You Mean,” “Let Me Love You,” “Sorry,” and “Love Yourself”. Just after handing off one of his guitar picks to a lucky fan, Justin delivered an amazing cover of Tracy Chapman‘s 1988 hit “Fast Car.” Check out the clip below! The Bachelor's Becca Tilley Is Dating Bachelor Nation's Robert Graham! This news certainly is not a surprise to anyone who follows Bachelor Nation stars Becca Tilley and Robert Graham on Instagram, but she just confirmed they are dating! The hot couple has been sharing lots of moments on social media over the past year and she confirmed the relationship while attending 102.7 KIIS-FM’s Jingle Ball 2016 on Friday (December 2) in Los Angeles. Also at the concert were fellow Bachelor/Bachelorette stars JoJo Fletcher, Nick Viall, Josh Murray, and Amanda Stanton. This Is Us‘ Chrissy Metz and entertainer Lance Bass were also there. 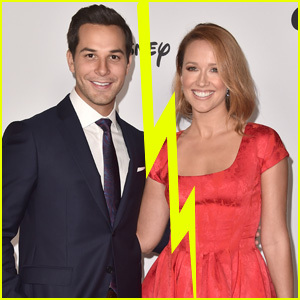 Becca appeared on seasons 19 and 20 of The Bachelor while Robert was on season nine of The Bachelorette and the first season of Bachelor in Paradise. Daya rocked the coolest reindeer ears at 102.7 KIIS FM’s Jingle Ball 2016 Pre-Show at Staples Center in Los Angeles on Friday (December 2). 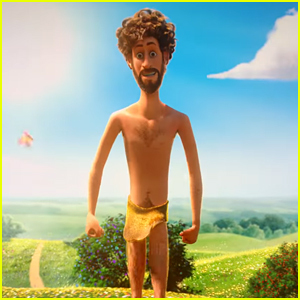 The “Sit Still Look Pretty” singer took the stage at the Village, before crashing the main stage inside the arena for a set. Sabrina Carpenter, Zara Larsson, Hey Violet and Los 5 all performed at the Village Pre-Show. Sabrina even covered Rihanna — check out the vid below! If you missed it, check out the coffee emoji design that Sabrina made with Google’s Made With Code! FYI: Daya is wearing Nashelle Jewelry rings and a Nissa Jewelry choker. 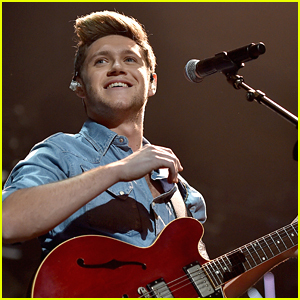 Niall Horan is all smiles in the spotlight during his performance at 102.7 KIIS FM’s 2016 Jingle Ball at Staples Center on Friday night (December 2) in Los Angeles. The former 1D singer delivered a bare bones, but still amazing, performance of his new single, “This Town”. Later on, Fifth Harmony rocked the stage with performances of “Work From Home” and “That’s My Girl” at the annual event. Diplo, Meghan Trainor, and Tinashe also hit the stage, while Jake Miller, Barbara Palvin, and Alessia Cara were seen backstage. Britney Spears Celebrates 35th Birthday On Stage at Jingle Ball! Britney Spears celebrated her 35th birthday on Friday (December 2) and she rang in a new year of life by performing at 102.7 KIIS FM’s Jingle Ball 2016 at the Staples Center in Los Angeles. The entertainer was surprised on stage with a birthday cake from the event’s host Ryan Seacrest. During her set, Britney performed her current single “Slumber Party” live for the first time with collaborator Tinashe! Hailee Steinfeld Is Thankful for Her Two Critics' Choice Noms! Hailee Steinfeld is an Oscar-nominated actress who also has a hot music career and she’s hitting highs in both fields right now! The 19-year-old entertainer is currently touring on the Jingle Ball shows and she just received not one, but two nominations for the 2016 Critics’ Choice Awards. Hailee was nominated for Best Actress in a Comedy and Best Young Actor/Actress. “THANK YOU @CriticsChoice for the nominations for #EdgeOf17. This means the world to me! ❤️,” she tweeted. Pictured inside: Hailee, Niall Horan, Alessia Cara, Charlie Puth, Daya, Diplo, Lukas Graham, The Chainsmokers, and Tove Lo appearing at WiLD 94.9 FM’s 2016 Jingle Ball concert presented by Capital One on Thursday (December 1) in San Jose, Calif.